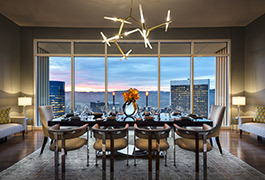 The Century, a 42-story masterpiece designed by world-renowned Robert A.M. Stern Architects, presides above nearly four private acres of lush gardens approached through stately travertine-flanked iron entry gates. 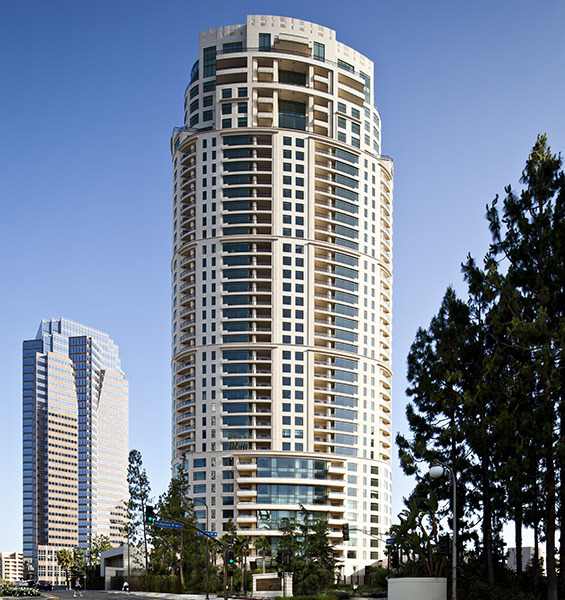 With sweeping vistas from downtown Los Angeles across the Santa Monica Mountains to the Pacific Ocean, The Century’s light-filled condominium residences epitomize the evolution of estate living. 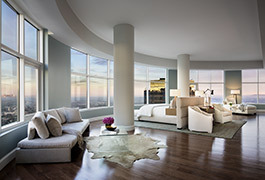 Located in the heart of Los Angeles, Century residents enjoy an enviable address expressing timeless West Coast elegance and contemporary international influence, classic estate pleasures, distinctive interior aesthetics, and uncompromising service—all with the one-call-away ease of a presidential suite. The Century has been awarded LEED® Silver certification by the U.S. Green Building Council.